We have some very exciting news regarding a new initiative we are undertaking here at Alturas Wildlife Sanctuary. 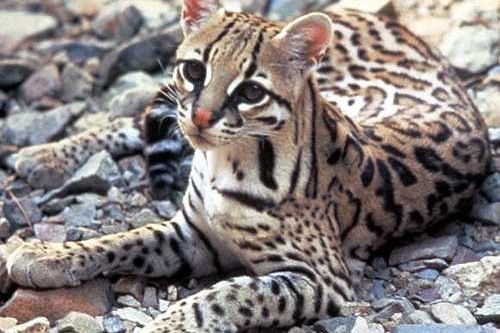 As many of you know, we have several species of wild cats here in the southern zone of Costa Rica, including the Ocelot, the Margay and the Jaguraundi. The Margay cub photographs are of one we currently are rehabilitating at the Sanctuary. The picture if him in the "cage" is the trap that the poachers used to capture him, and how he arrived at the Sanctuary. Over the years, not being equipped to rehabilitate these cats, we have sent them to other sanctuaries throughout the country that had the proper enclosures to house them. However in following up with sanctuaries we realized the protocols in place may not have been enough to prevent them from becoming habituated to humans to be released back into the wild. Most of them have ended up being kept at these sanctuaries permanently, and this is obviously not the desired outcome. In discussion with out Regent biologist, Alejandro Mattey, we have decided that we want to be able to house these cats, with effective established protocols in place, so that they can be released back in to the wild where they belong. 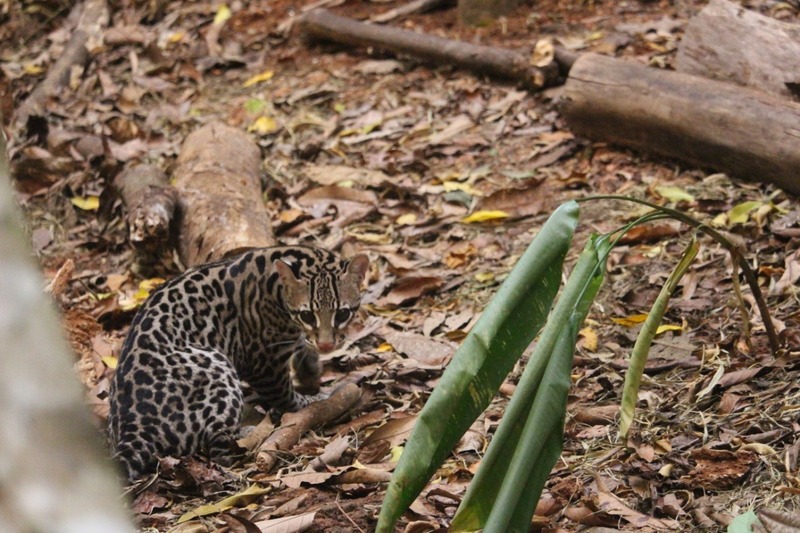 Alejandro and Loyal have been working with two biologists, one in Colombia and one in Mexico, who have had great success rates in the rehabilitation and release of jungle cats. We feel confident that we can do this too with their guidance and instruction. This is an exciting new expansion of our program. In order to do this, we have started construction of two cat enclosures, further down the hill, from our current sanctuary. They are being built to the exact requirements of the Global Federation of Animal Sanctuaries, and the American Zoological Association. The goal with these new enclosures is to do everything possible to encourage the cats' natural behaviors and keep human contact to an absolute minimum, thus increasing the chances of a successful release back to their natural habitats. For example, as they are highly arboreal, the enclosures are being built around trees, branches and stumps. 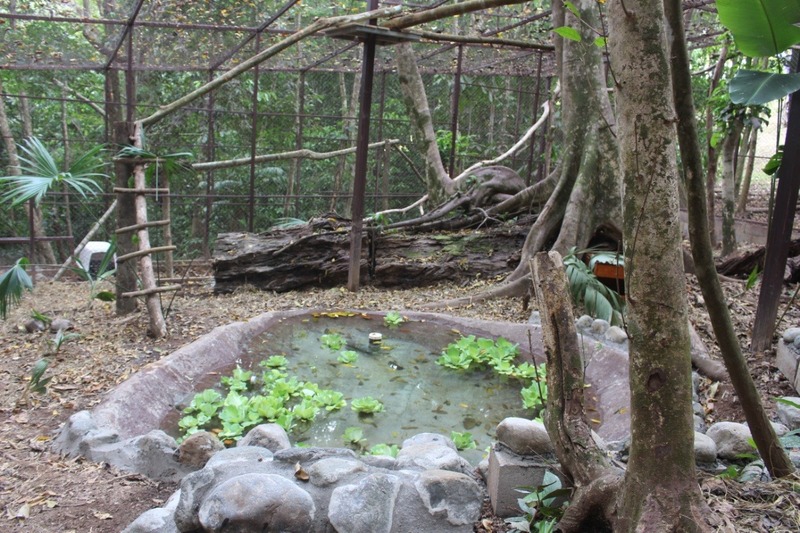 Each will have a natural pond, platforms, and a shift yard which allows us to isolate them while cleaning the enclosure or feeding them, using these protocols minimizes human interaction, and increases the cats' probability to return to the jungle successfully. As as you may know, we are a 501 (3)C nonprofit organization, and rely completely on our tours and donations to continue the important work we do for the animals. This project is a huge undertaking for Alturas. Each enclosure will cost approximately $9,000.00 to construct correctly. Any amount that you might be able to donate would be greatly appreciated. 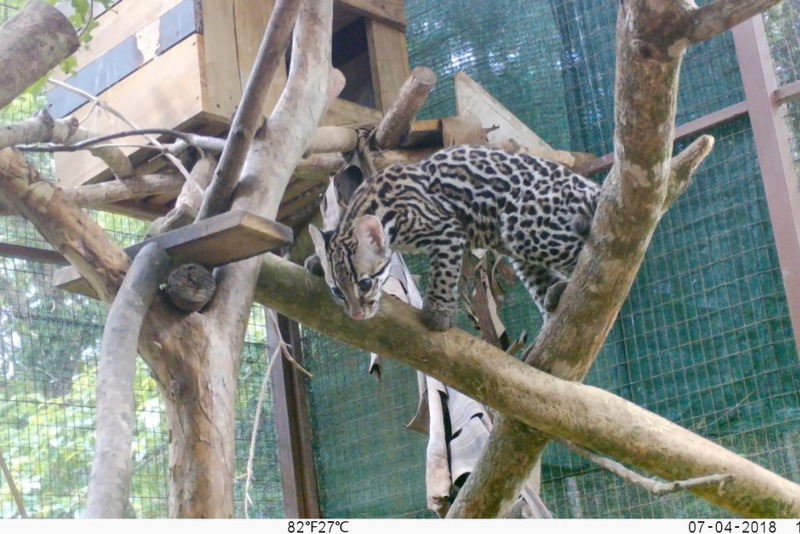 We have finally been able to move the ocelot in to her brand new home! After months of hard work, countless setbacks and all of your incredible support, we were able to move her in to her custom designed enclosure on the 31st December 2018. Before moving her, our vet team carried out a health check and the results came back to say she is perfectly healthy and an ideal weight for her age! We set up a camera so we can watch her progress and it is clear she is developing those natural instincts and making the most of her new space. Now the ocelot is on the next step to getting back to the wild, it is important we can keep the momentum and do the same for the margay. We were able to extend her current enclosure to provide her with more space however it is nowhere near what she needs to be able to develop the behaviors she needs to survive in the jungle. 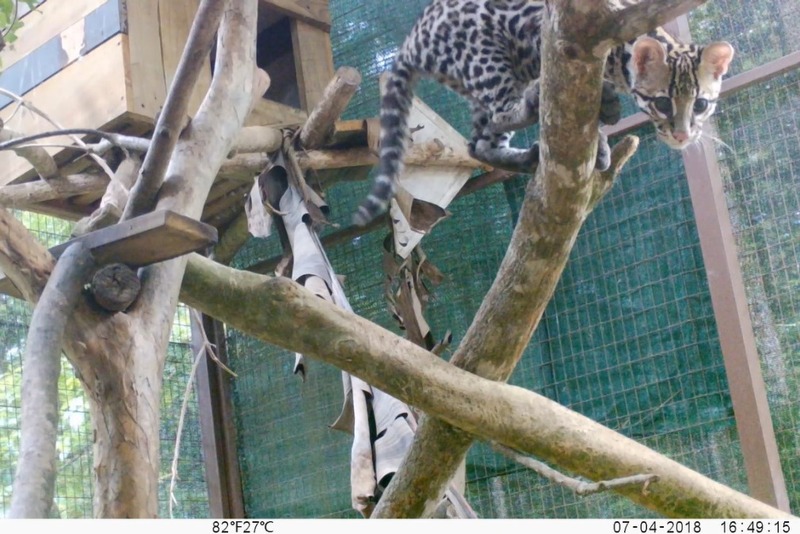 Through this campaign, as well as with private funding and donors, we are almost half way to our goal which means we could create another incredible enclosure for the margay too! They are both growing so fast and we cannot wait to see them back in their natural habitat. We couldn’t have made it this far without your donations, shares and continuous support so thank you! We hope you will continue to support us in the future. Update on the construction for the wild cat enclosure! Since creating our GofundMe page, now almost 2 months ago, we have managed to raise $3,725 USD so far. 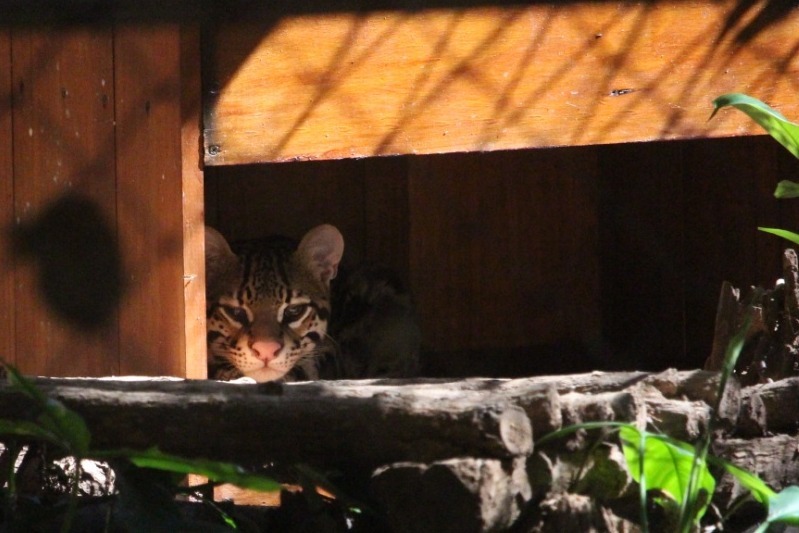 Every donation, small or large contributes to moving the ocelot kitten into a more suitable enclosure, and bringing her one step closer to her release into the wild. The design for the new ocelot enclosure is in accordance with GFAS (Global Federation of Animal Sanctuaries) and AZA (Association for Zoos and Aquariums) standards. As Alturas Wildlife Sanctuary is a 501 (3)C Nonprofit organization, we rely on donations to fund such large-scale projects. Construction on the enclosure in the forest is underway, and we hope that by the end of the month we can move the ocelot in. She is currently being housed in one of our pre-release enclosures. Despite all the materials we have purchased so far, we still need to buy additional material to construct the furniture for the enclosure, including enrichment devices. Once we have purchased wood and other materials, our volunteers together with the staff at Alturas will begin building both temporary and permanent structures in the enclosure, such as natural shelter spots, climbing structures and enrichment devices, all with the intention of stimulating her natural behavior. If you have all been following our Facebook page, you would see that we have installed Infra-red cameras in the Ocelot’s enclosure in order to observe her behavior throughout the day and night. We restrict the human contact the cat is receiving solely to two members of staff, which enter the enclosure in order to feed and clean her. 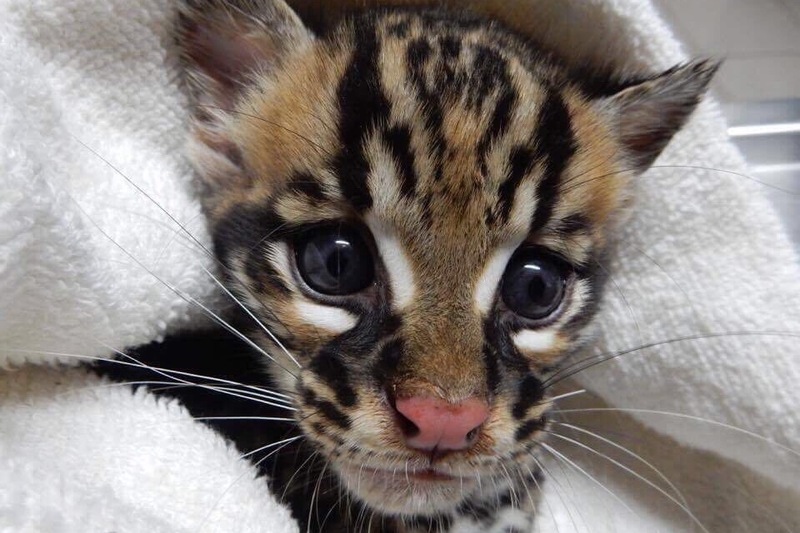 We want to ensure that the Ocelot is behaving naturally and displaying behaviors that a kitten at her age would be doing. Observing the video footage allows us to monitor her development without our physical presence around her, which might have detrimental effects on her behavior. The results from the footage reveal that she is developing excellently and has a natural fear of humans, a behavior which comforts us, as we would not be able to release her if she has attached herself to people. 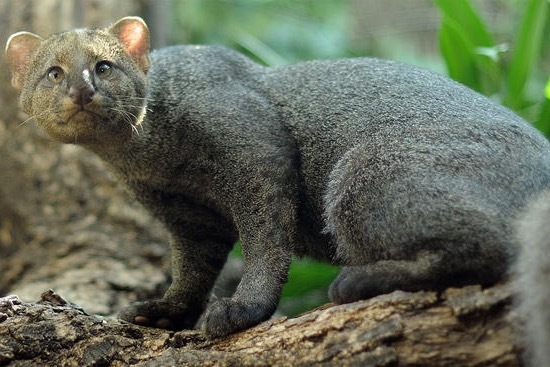 She is inquisitive to new items placed in her enclosure, yet playful as a kitten at her age would naturally be. 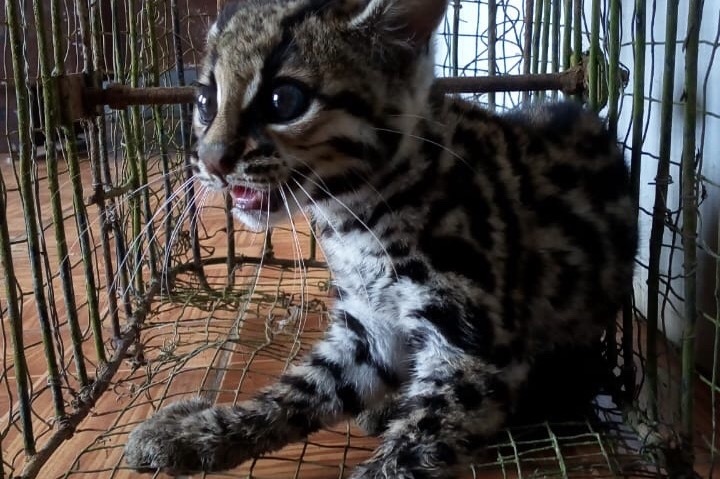 Please follow our Facebook page at Alturas Wildlife Sanctuary in order to be kept updated on the progress of the enclosure’s construction and the transfer of the ocelot kitten. From everyone at Alturas Wildlife Sanctuary, we are so appreciative of any donation for this cause. 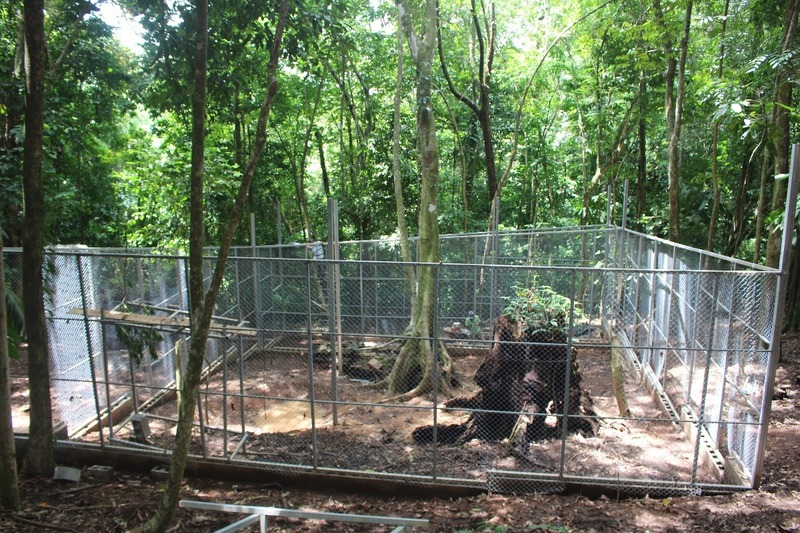 Together with us, through the completion of this new enclosure, we will be working together to release one of Costa Rica’s rarest mammals back into the wild!